We don’t hit a lot of greens. If we want to try for our par, or preserve our bogey, we need a reliable short game. This is what I mean by “reliable” in terms of recreational golf: you make good contact every time, control the ball every time, and get the ball on the green every time so you can start putting. 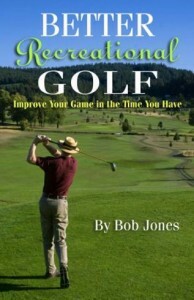 Every recreational golfer can attain that standard. If you do, you will prevent yourself from ringing up strokes needlessly. There are two ways of improving. One of them is to get good. The other is to stop being bad. Those two are different. This article is about the second one. I want you to try something and see what happens. 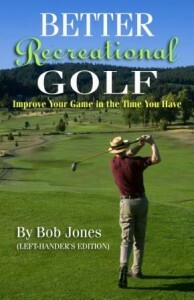 Spend some time on the practice tee learning it, then go out the the course and try it out. Remember that article I posted a few weeks ago on hitting the ball in a flat trajectory and letting the club get the ball in the air? That’s what I want you to do with every short shot you hit. EVERY short shot. Whether it’s an 80-yard pitch or a 20-foot chip, hit the ball with a flat trajectory. Let the club get the ball in the air. I’m not saying to skull it so the ball gets six inches off the ground and runs three miles. I’m saying to keep the club low to the ground and level with it as you hit through the ball, allowing the clubface to do ALL the work of getting the ball in the air. What you get from this solves two short game problems. First, you get much cleaner contact. No chunking. A clean, on-the-clubface strike. Second, you get spin. You’ll have to learn how to work with this, but once you get spin, you can make the ball do anything. Those two things add up to reliable short game shots. From there, you can start refining your shot-making to zero in on the pin, which is the getting good part. Bonus: if you get this down in your short game, it will feed over into your long game and you’ll hit better long shots and more greens. 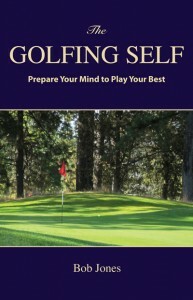 One of the most profound, and yet simple, pieces of analysis I have read about golf (or anything).